We love the Lumi dolls – the hard part is actually finding them! 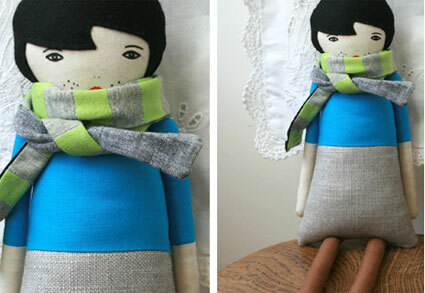 The dolls are all limited editions, handmade and standing around 45cm high, each one made of 100 per cent cotton with a polyester filling and with detailing (including individual fashions) made from linen, wool and vintage fabric. Definitely one for the collectors, I would guess a few are floating around eBay as very few seem to be available to buy online right now, although Le Train Fantome still has stock of Lumi #44. But be quick, there’s only two of these – priced at £51 each. Check out the sold designs on the same site while you’re there, if we find more for sale, we’ll let you know.